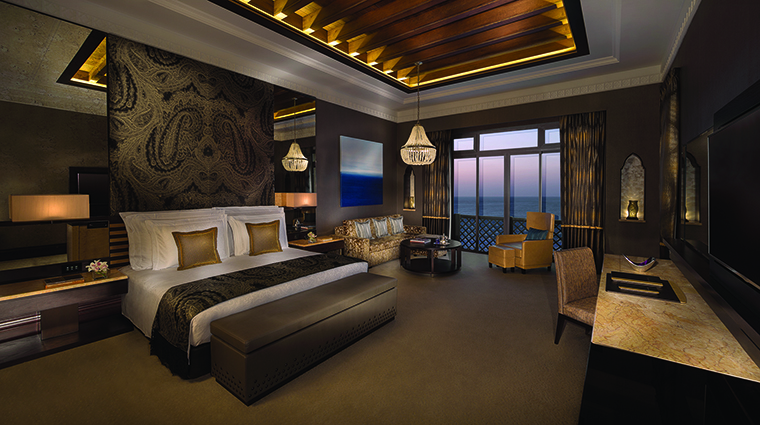 With a name that translates into “harbor of peace,” Jumeirah Mina A’Salam serves as an elegant beacon welcoming you into Dubai's massive Madinat Jumeirah resort complex. Situated on a sublime golden shore, the beachfront hotel boasts a surprisingly boutique feel — even with 292 guest rooms and suites — and family-friendly service. 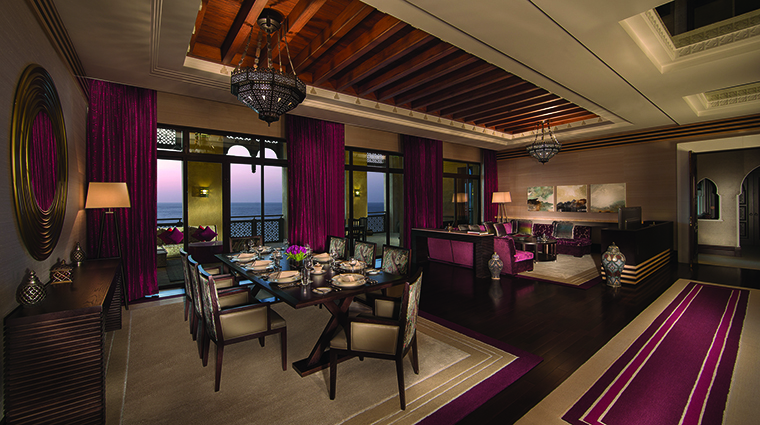 As part of the extensive Madinat Jumeirah, this luxe property offers you access to all of the property’s 50-plus restaurants and bars, ensuring every craving is satiated, no matter the time of day. Complimentary access to Sinbad’s Kids Club and the Wild Wadi Waterpark make family fun a cinch at this unforgettable Forbes Travel Guide Four-Star stay. A private beach provides an alluring spot for soaking up some sun or partaking in one of the resort's watersport offerings, such as windsurfing and wakeboarding. Families need not worry about packing a lunch — food and beverage service is available right on the sand. 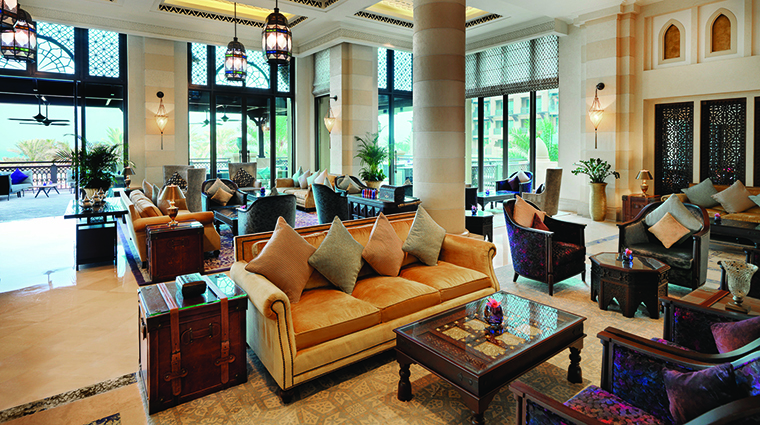 Don't miss Jumeirah Mina A'Salam's abundant Friday brunch offerings. Every venue, from Mexican-themed Tortuga to international eatery Hanaaya, offers its own take on the popular Dubai weekend tradition. A visit to the Four-Star Talise Spa is a must. Choose from a wide menu of treatments that incorporate ingredients inspired by the region, such as honey, clay and pearl extract. 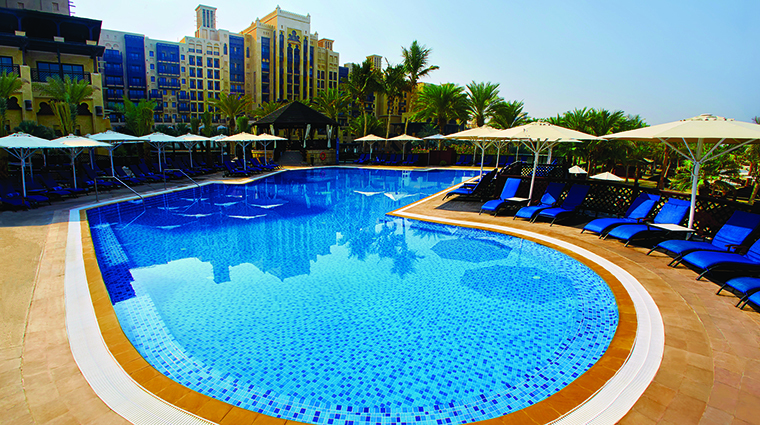 The family-friendly hotel boasts endless ways for even the smallest travelers to enjoy themselves, from complimentary access to the popular Wild Wadi Waterpark to the expansive onsite Sinbad Kid’s Club, complete with more than 10,000 square feet of play areas and pools. Enjoy retail therapy with an authentic Dubai flair at Souk Madinat Jumeirah. In addition to boutique stalls selling jewelry, perfume, antiques and more, this shopaholic's delight offers more than 25 restaurants and bars, an amphitheater and even canals — don't miss a waterborne tour through the market. The active set is spoiled for choice at this Dubai hotel with world-class golf, tennis, watersports and a state-of-the-art fitness center. A complimentary shuttle bus service will take you to the nearest mall and metro station. Book an executive room category or above to receive gratis airport transfers. 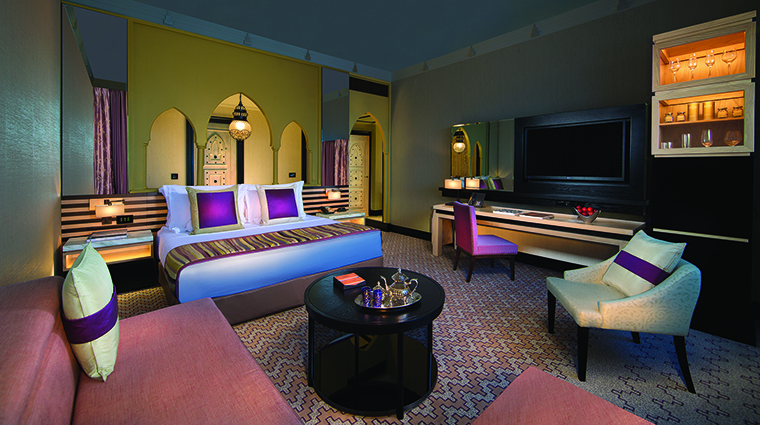 Adorned with Arabian-inspired dark wood furnishings in shades of purple, fuchsia and gold, the spacious guest rooms provide a sense of place in this luxury hotel. The Middle Eastern motif continues into the stylish bathrooms, which feature mosaic finishes and wooden accents as well as dual vanities, private dressing rooms, separate bathtubs and rain showers. To enjoy the ultimate family-focused stay, book one of the resort’s spacious suites. In addition to extra elbow room (more than 1,300 square feet), two bedrooms and bathrooms, and a furnished balcony with sea views, you and your brood will gain entry to The Premium Leisure Club with exclusive check-in and reception, a lounge area with complimentary breakfast and a dedicated playroom for the little ones. Sample classic Chinese dishes served with creative and contemporary flair at Zheng He’s, named after a nautical explorer of the Ming Dynasty. Order the fortune beggar chicken, and for a theatrical dining experience, watch as the resident duck master carves your bird tableside. Partake in the buffet at the bright and family-friendly Hanaaya, where live cooking stations offer international dishes, served indoors and alfresco on the terrace overlooking the lagoons. Dine on Mexican fare at the lively Tortuga, where you’ll enjoy cocktails and live mariachi band just as much as the food. Try the street-style Baja fish tacos and traditional favorites such as three-chile chicken mole or grilled octopus. Feast on fresh salads, seafood and other staples of Greek cuisine from chef Yiannis Katsikas at the casual waterfront Shimmers on the Beach. Feel the sand between your toes as you sip sundowners by the ocean and gaze at Burj Al Arab Jumeirah. At Bahri Bar, take in idyllic views of the canals and Arabian Gulf over jazz and soul tunes while you imbibe at this chic waterfront lounge.